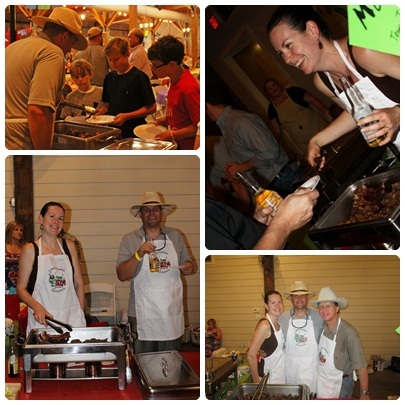 May 5th was the 11th Annual Wild Beast Feast Fundraiser for the Lake Charles Symphony. 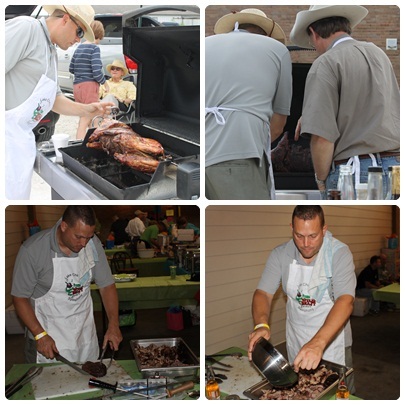 It is a family friendly event full of wild and crazy food, fun, and entertainment. Then we served guests for about 3 hours. We had a blast. And even though we didn’t win any of the awards, we served all our food – that’s got to say something about it tasting good! How cute are you? Love the pics! I didn’t like them as much as the rabbit tacos. But our friends with us really like the cabrito. There were bison tacos too, I wish I had tried them, just for comparison.